Yehey for FREE INTERNET! 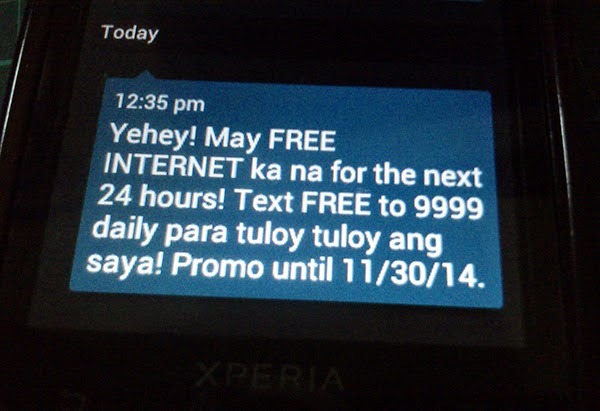 The largest mobile network in the country now offers FREE INTERNET to Smart, Sun, and Talk 'N Text prepaid subscribers. Just text FREE to 9999 to start surfing, liking, and sharing online! I love freebies! The news about #SmartFREEInternet caused me to immediately text FREE to 9999 without even reading the terms and conditions! My bad... This is a promo so there's definitely some limitations..er, conditions. Below are some points you need to know before plunging in to this promo. 1. Promo is available to all active prepaid subscribers of SMART, Sun and Talk 'N Text. To dissect this statement: ACTIVE means that subscriber has an available airtime balance of at least one peso or is subscribed to any load bucket/promo. PREPAID means not available to postpaid subscribers. SMART, Sun and Talk 'N Text subcribers mean Smart Bro / Sun Broadband are NOT included. 2. To avail of the service, you must register DAILY, by sending FREE to 9999. Registration is FREE. 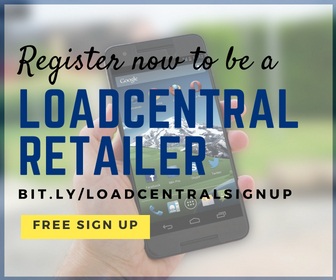 The subscriber will then receive an SMS confirmation upon successful registration. 3. Promo is valid until November 30, 2014 and can only be used while in the Philippines. Not available for roaming. 4. Free 30MB worth of data - This FREE INTERNET promo allows subscribers to have all-day access (24 hours) to their favorite sites or apps using their mobile phones for free but initially up to 30MB. Yes, you heard it right. 30MB. NOT UNLIMITED and subject to the promo terms and fair use policy. 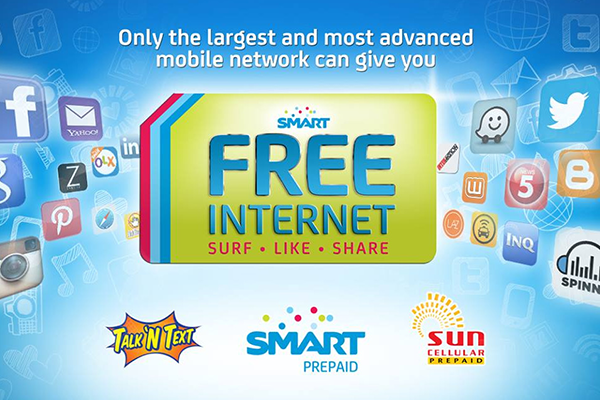 For more information, please visit http://www1.smart.com.ph/prepaid/freeinternet.